There are many different treatments available for badly damaged or decayed teeth, but unfortunately, sometimes a tooth is beyond repair, leaving an unsightly gap in your smile. Gaps between your teeth can seriously knock your confidence, and can even have a negative impact on the functionality of your other teeth and the overall use of your mouth. This is due to the fact that after time, your remaining teeth can take advantage of the space to shift around slightly, causing misalignment and a range of other associated dental problems. What happens during the procedure to get a dental bridge? 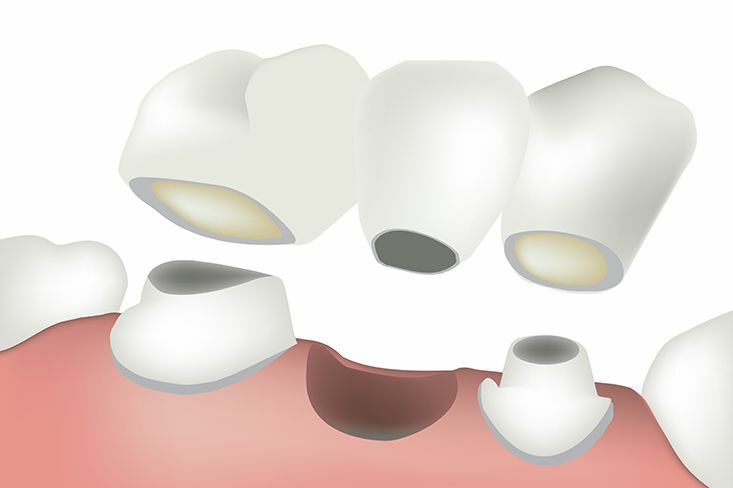 A dental bridge will require at least two visits to your dentist. During the first visit your dentist will carry out a thorough examination of your teeth. After giving you a local anesthetic, he/she will prepare the abutment teeth by filing away some of the enamel in order to make your tooth small enough for the crown to sit over it, hiding it completely. Then your dentist will take impressions of your teeth which will be used as a guide for the dental lab that will be making your crowns, pontic and bridge, so that it is a perfect fit. Finally, the abutment teeth and gap will be covered with a temporary bridge to protect them while the final bridge is being created. When your bridge is ready you will be invited back in to see the dentist who will remove your temporary cover and fit your final bridge. This may require multiple visits in order to ensure that the cover and fit is absolutely perfect. If your bridge is to eventually be cemented in place permanently, your dentist will probably suggest a ‘trial run’. This is where they are implanted with a temporary adhesive to check that they are completely comfortable before securing them in place with a permanent cement. 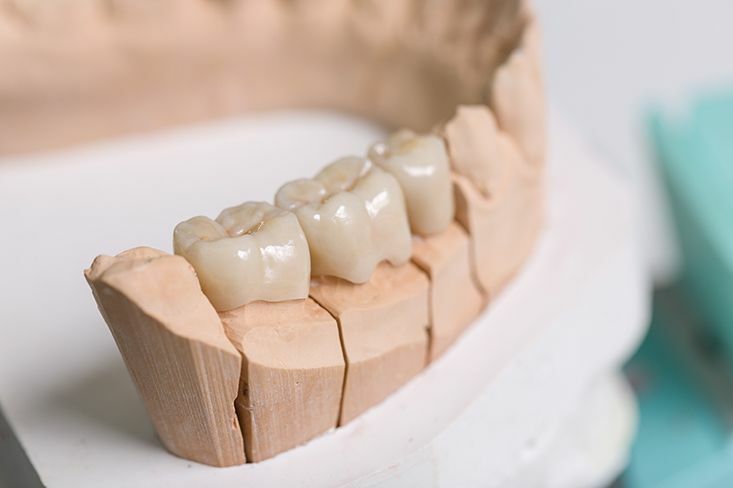 With proper care and attention, your dental bridge could last as long as twenty years. You should continue with a thorough oral hygiene routine including brushing, flossing and mouthwash, and try to avoid particularly chewy foods or cuts of meat as these will put additional strain on your bridge. How much can I expect a dental bridge to cost? The cost of dental bridges varies depending on the number of pontics and false teeth that are required. The more you need, the greater the cost will be. We recommend that you speak to your dentist for an accurate quotation for your dental bridge treatment. You may find that some or all of the cost will be covered by your dental insurance. However, you should check this with your insurer before booking your treatment.